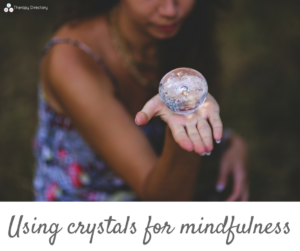 What can crystals bring to you mindfulness practice? Most of us know being more mindful and aware is key to well-being, with mindfulness meditation taking off in the UK. Helping to reduce feelings of stress and anxiety, mindfulness can help us tap into our intuition. 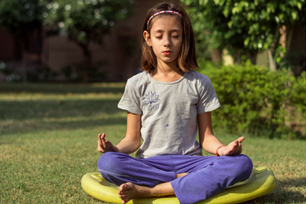 There are plenty of ways you can practice mindfulness, from meditation, to mindful eating and even mindful movement. Adding crystals to the mix adds another level to this. Crystals carry their own energy and some believe this can ‘communicate’ with our own energy. 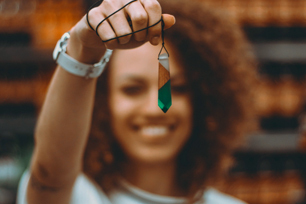 Crystal therapy can help restore peace and well-being through relaxation. During crystal therapy sessions, crystals are placed on certain areas of the body to help unblock energies and trigger natural healing. Mindfulness meditation is all about rooting yourself to the present moment by focusing on your breath and how you’re feeling at that moment. For some, focusing on their senses (sight, sound, touch etc.) is helpful. Having a crystal with you during meditation gives you something interesting to look at and hold during your meditation. Focus on the colours you can see, how it feels in the hand. How you feel emotionally when you look at it. Anxiety and stress can strike any time. Having an anchor item can be useful. This is an item you use to ground yourself to the present moment by touch. A grounding crystal like smokey quartz is ideal for this, simply keep it in your pocket and hold it when you begin to feel overwhelmed. Focus on how it feels and bring yourself to the present moment. Instil your crystals with the intention of mindfulness, so that every time you look at them you will be reminded to be still and mindful. Then place them around you – put one on your windowsill, by your bed and on your desk at work. Every time you look at them remember your intention to be more mindful. How do you use crystals? Tweet us and let us know!